Parts can wear or even break leaving your door inoperable or dangerous. Garage door lifting systems involve springs under great tension and repairs shouldn’t be attempted by untrained persons. You can call us to organise a convenient time to come and repair your door. We carry spare parts for most garage doors or can order them in if need be. 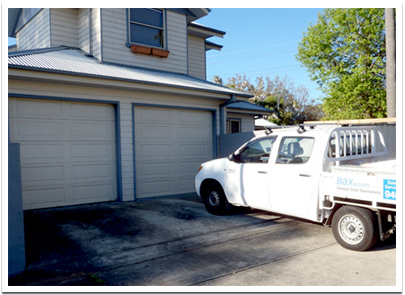 We can even arrange an annual maintenance plan to lubricate and inspect your door/s to avoid any major problems. In most cases we can provide a same day or next day service.